EDITOR’S NOTE: Photojournalist Kat Russell, a California native, set out on one of three daytrips suggested by Todd County’s Community Alliance, a group promoting Todd County tourism. She is sharing her experience about “Let’s Go Country,” an itinerary for a trip that can be seen at http://toddcountyca.org/resources/. GUTHRIE, Ky. — Until a few weeks ago, I had never been to Guthrie. Having just moved here a few months ago and being kept busy by my job, I haven’t had much of a chance to explore the surrounding counties except when on assignment. So, recently I took a daytrip through Guthrie — one of several I plan to take through the surrounding towns to see the sights and meet people and learn about their lives. 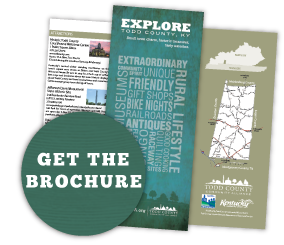 For those who don’t know, Todd County’s Community Alliance website, www.toddcountyca.org, has some great daytrip itineraries for anyone wanting to explore not only the sights, but the local businesses as well. I decided to start with the website’s “Let’s Go Country” daytrip, which starts in downtown Guthrie and then fans out into the country. 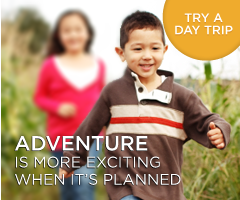 I should mention that when they say “daytrip” they mean it’s a full day’s itinerary. I only made it halfway through the trip since I had to be at work in the afternoon, but the places I got to visit and the lovely people I got to meet and talk with made me more than excited to continue the trip as soon as I can. Bill and I talked about a lot of things. 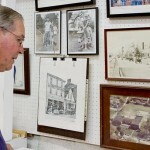 He showed me the pictures of him and his brother and the mule Bill bought when he was about 10 years old. “I really wanted this mule,” he said. “The guy who owned it was selling it for $8, but I only had $6.” So Bill went home to scrape together some more money or find something to trade for the mule. In the end, the man settled for Bill’s $6. “So there I am, walking home with this mule and my mom and dad had no idea I had even bought it,” he laughed. The photo he showed me depicted him and his brother sitting on the mule’s back. general store from the late 1800s and there were historical pictures of downtown Guthrie. Bill said that in the 1950s, Guthrie was a “boomtown.” It was always busy on Saturday nights with people coming to town to socialize or see a “motion picture.” This was before TV or the Internet, he said. When I visited, the downtown street was empty and half the buildings were vacant. Bill said that over the years, Guthrie has slowed down a bit — not because there are less people, but because they have found different ways to socialize and entertain themselves. Televisions and computers, in Bill’s opinion, have led to more people staying inside and less person-to-person interaction, which is a sad state of affairs. I stayed and talked with Bill for more than an hour. He had so many interesting things to say, I could have stayed there all day but, as I was on a schedule, I had to say my goodbyes and move on to the next location. 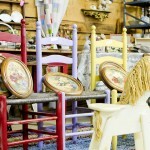 The Southern Kentucky Flea Market was second on the day’s itinerary. I must admit I wasn’t looking forward to this one. In my head, I pictured a bunch of useless junk crammed and cluttered into every corner of a musty smelling warehouse. This, however, was not at all what I found. 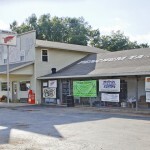 Located off the Dixie Beeline Highway on Cyprus Lane, the Southern Kentucky Flea Market is the largest flea market in the area with more than 150 booths, according to the Todd County Community Alliance. When I walked in, I was pleasantly surprised. It was a historical treasure-trove; I felt like I had stepped into the past. As I made my way up and down the jam-packed aisles, I saw everything from old clothes and books to antique furniture and trunks, to crystal and ceramics. There were old photographs, baseball cards, paintings, collections of old cast iron griddles and irons, promo posters, silverware, lithographs, glass medicine bottles, toys, miniatures and so much more. Jamison said his dad was never that interested in the flea market to begin with; he was more just interested in having a business. After talking to Jamison, I made one more sweep through the tight aisles of the market, making a mental list of things I wanted to come back to check out, and I said my goodbyes as it was time for me to head out to the next stop — Penchem Tack Store on Guthrie Road. Penchem Tack is an Amish Mennonite-owned business and horse enthusiast’s paradise that specializes in making and repairing fine leather saddles. 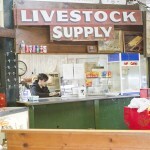 Housed in a rustic two-story building with creaky hardwood floors and filled with the heady scent of well-oiled leather, the store is divided into two departments; most of the tack and extraneous items are upstairs, and the saddles and repair shop are downstairs. 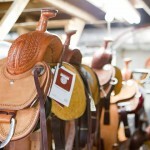 In addition to saddles and tack, they sell all sorts of western items and leather goods as well as Western-themed gift items like coffee mugs, belt buckles, purses and more. I especially liked a candle lantern I saw which was made from rust-colored metal and had mesh sides, except for the silhouette of a cowboy riding a bucking bronco on its side. the shop and learning how to work with leather. He is a man of few words who said he likes the work he does and enjoys working with leather. I didn’t stay long at the shop, as time was quickly slipping away and Johnny was busy helping a couple pick out a saddle and so I said my “thank yous” and moved on to Schlabach’s Bakery. A few miles up from Penchem Tack, Schlabach’s Bakery, another Amish Mennonite-owned business, sits a little ways back from the road and looks like more of a home than a bakery. A good marker for the shop is its large billboard sign that sits across the street. 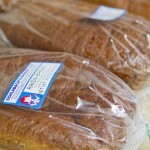 Leroy Schlabach and his wife own the bakery, which was started in 1970 by his wife and mother-in-law. “They either had to milk more cows and expand their dairy business or sell the dairy cows out and go into a different avenue like baking,” Leroy said. 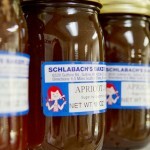 Schlabach’s is a simple little bakery. Leroy said one thing that sets his business apart from other bakeries is they don’t use mixes — everything is started from scratch — and they don’t add preservatives to their foods. hives they keep. When I stopped by the shop, there wasn’t much on the shelves. Leroy said they usually let the shop’s inventory drop toward the end of the week in order to curb waste, but the smell of bread and cinnamon rolls baking filled my head and made my mouth water. Over the years, Leroy said the business has expanded and grown and with it their products have diversified. 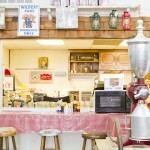 They now have pies, fried fruit pies, cookies, cakes, sweet rolls and doughnuts. I also learned a little bit about the Amish Mennonite culture. He was so friendly and open I could have stayed all day, but I made my way back to Hopkinsville feeling a little richer in my new life here and grateful for having had the opportunity to meet such interesting and friendly people. Kat Russell is the New Era photojournalist. She can be reached at 270-887-3241 orkrussell@kentuckynewera.com.